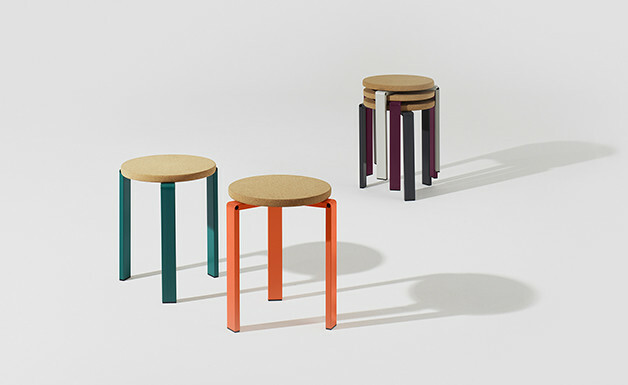 A versatile stackable stool that can also be used as a small side table. 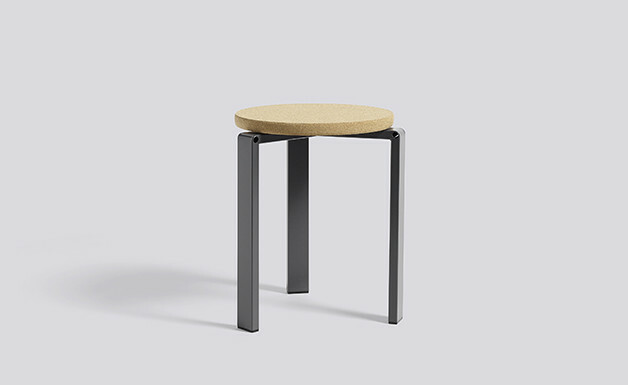 It is made from drawn steel tube and features a laser cutout detail that allows the tube to be bent at a right angle, so the leg and frame are one. 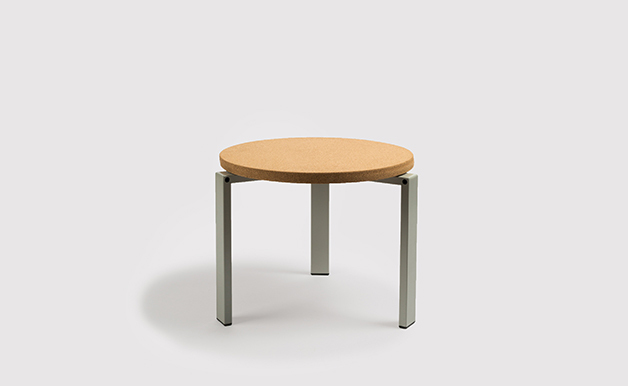 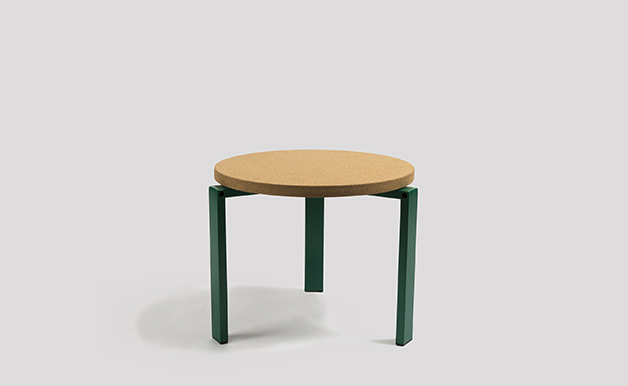 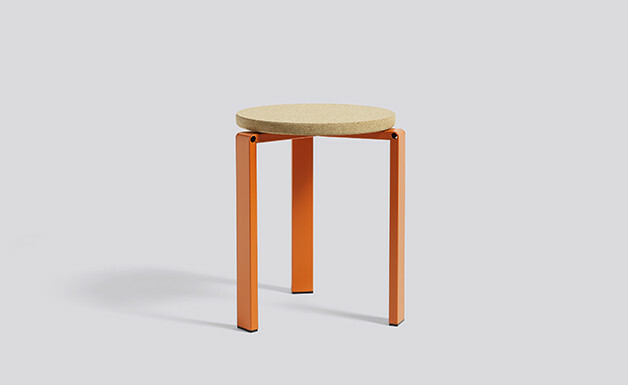 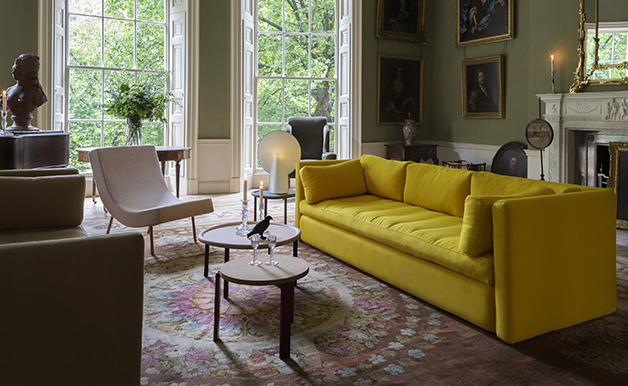 The top is laminated cork and the legs are available in a variety of different smooth powder coated coloured finishes. 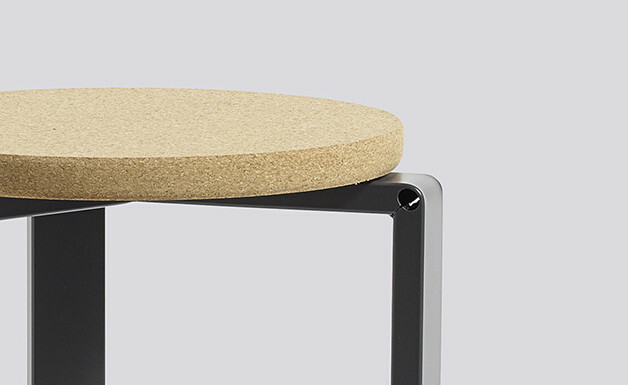 A plastic foot protects floors.